Here is a map contains territory of Kazakhstan. actual map of Zhetiaral for gps. topographic map of Zhalgyztal for Garmin. topographic map of Tersayryk 1 cm to 1 km displayed. map of Mangyraq и OziExplorer calibration displayed. detailed map of Lasty calibrated displayed. detailed map of Kuygan here. free map of Kuanysh for you. map of Kenestu displayed. 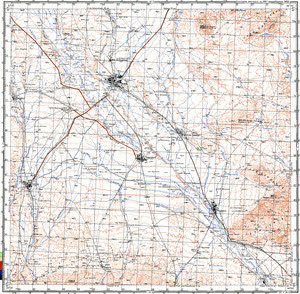 topographic map of Imeni Voroshilova calibrated free download. actual map of Imeni Kalinina for gps. topographic map of Imeni Kaganovicha и OziExplorer calibration displayed. map of Boshcha-Bulak this. free map of Akzhar displayed.